UPDATE: The Campaign to Defeat Barack Obama says their ad buy in Nevada currently stands at five figures, with the spots going up in the Las Vegas, Reno and Pahrump markets. They say they hope to expand the ad buy if fundraising allows. 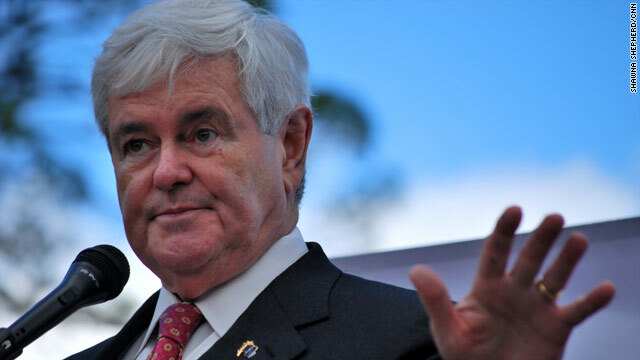 (CNN) – An independent conservative group associated with the tea party movement says it’s backing former House Speaker Newt Gingrich for the Republican presidential nomination. The group also says they’ll go up with TV and radio ads in Nevada to support Gingrich’s bid for the GOP nomination. Nevada holds its caucuses on Saturday. In their email to supporters, the group asked for contributions to help purchase airtime for the TV and radio spots. The Campaign to Defeat Barack Obama is, as the name implies, dedicated to trying to defeat the president in the 2012 election. The group was launched by the Our Country Deserves Better Committee, a conservative political action committee that’s also the parent organization of the Tea Party Express, one of the leading national tea party groups. The Campaign to Defeat Barack Obama is now a separate entity. The group also spent money to run TV commercials that urged against raising the nation’s debt ceiling, and put up ads in Wisconsin in support of that state’s conservative governor, Scott Walker, as he battled state Democratic lawmakers and unions over budget cuts and the collective bargaining rights of public section union workers. The showdown in Wisconsin last year made national headlines. Walker is currently up against a recall effort from his opponents in Wisconsin. The Campaign to Defeat Barack Obama is supporting Walker as he faces the recall. Click image to help us defeat Obama.